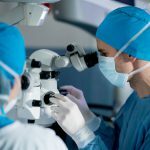 At Miracles In Sight, we collaborate closely with our surgeon partners to determine what we can do to help them better serve their patients, and then we focus on meeting those needs. To achieve that, we are constantly looking for new and innovative techniques that allow surgeons to achieve more positive outcomes. That’s why we are adding both Pre-punched and Preloaded DMEK grafts to our tissue processing services.